Through box assembly. 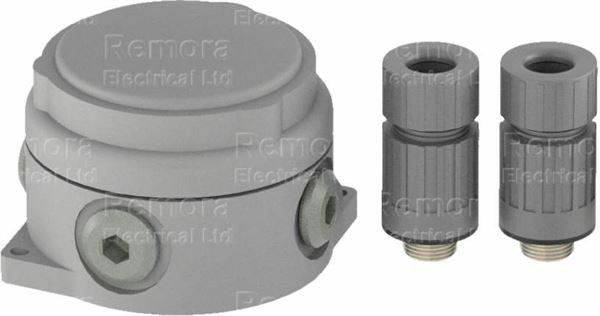 IP66/67/68 weatherproof suitable for indoor / outdoor use, above and below ground. Ideal for industrial applications, outdoor lighting etc. Designed to join two steel wire armoured cables together.